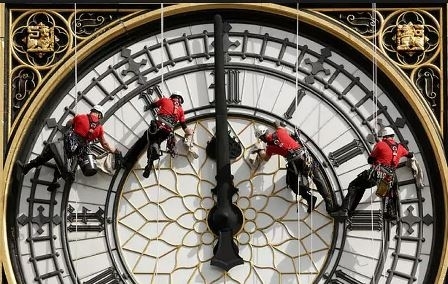 LONDON, UK (ANS – August 25, 2017) — After more than 150 years of continuous chiming on the hour, Big Ben has temporarily ceased to gong. And I believe it begs the question of whether time is running out for the once Great Britain. What a shocking betrayal of our esteemed forefathers who, inspired by their Christian faith, campaigned for laws — including the abolition of slavery and child labour — that set an example of moral righteousness to the rest of the world. Unless our leaders — political and spiritual — face up to our moral decadence and make way for major repairs in the form of a return to the Rock of Christ on which our civilisation was built, the whole Westminster edifice and all it stands for may come crashing down around our ears.